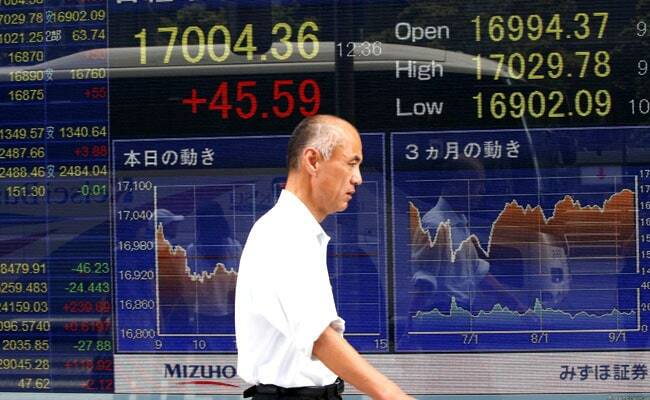 Japan’s Nikkei led the way with a rise of 0.56 per cent. Asian shares pulled ahead on Monday while bonds were in demand globally on mounting speculation the US Federal Reserve will sound decidedly dovish at its policy meeting this week. Japan’s Nikkei led the way with a rise of 0.56 per cent, and MSCI’s broadest index of Asia-Pacific shares outside Japan edged up 0.35 per cent. Shanghai blue chips firmed 0.8 per cent, while E-Mini futures for the S&P 500 were a fraction lower. The S&P 500 boasted its best weekly gain since the end of November last week, while the Nasdaq had its best week so far this year. “Long-term bond yields remain noticeably lower across a wide range of countries,” said Alan Oster, group chief economist at National Australia Bank. A marked decline in Treasury yields has dragged on the dollar, leaving it at 111.55 yen from a top of 111.89 on Friday. Against a basket of currencies, the dollar was pinned at 96.559 having shed 0.7 per cent last week. Oil prices were just off their highest for the year so far. US crude was last down 22 cents at $58.30 a barrel, while Brent crude futures lost 15 cents to $67.01.